Visit www.nomanssky.com/atlas-rises for more information. Inspired by classic science-fiction and its overwhelming sense of adventure and imagination, Hello Games presents a game of unprecedented scale and ambition. 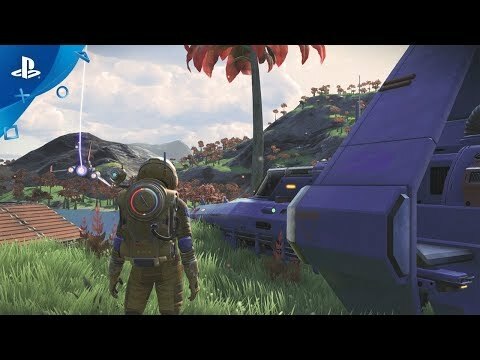 In No Man’s Sky you explore an infinite universe where you will discover unique never-before-seen planets and lifeforms. A mystery lies at the center of the galaxy, an irresistible pulse that draws you on an epic voyage to discover the true nature of the cosmos. Your journey will be charged with danger, encountering hostile creatures and fierce pirates; in order to survive, you will need to prepare, upgrading your ship, suit and weapons. Whether you choose to fight, trade or explore, every decision you make has consequences, shaping your journey as you travel ever deeper into No Man's Sky. No Man’s Sky is an epic science fiction adventure set across an infinite universe, in which every star is the light of a distant sun, orbited by planets filled with life – each yours to visit. Explore never before seen worlds, discover unique lifeforms and trade, fight and survive on a galactic scale. With over 18,446,744,073,709,551,616 (18 quintillion) possible planets, No Man’s Sky's procedurally generated galaxy gives players an unparalleled opportunity to explore worlds that no one has ever visited before. Exploration is entirely seamless, with no loading screens, whether you're flying from space to a planet's surface or even warping between solar systems. Whether you consider yourself a trader, an explorer or a fighter, there’s no limit to how you play No Man’s Sky. You may slip between play-styles freely, from pirate to miner, bounty hunter to surveyor, but know that any action can have lasting consequences. Everyone starts No Man’s Sky on the outer rim of the same unexplored galaxy. As you progress, you will come across countless undiscovered solar systems, planets, lifeforms and much more. 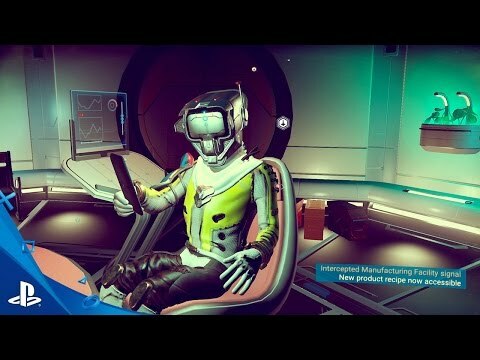 You can choose to share your discoveries with other players, naming them and adding them to the Galactic Map, forever associated with your PSN ID. You may also share the amazing sights you encounter using PlayStation 4’s share functions. Make enemies and forge alliances by joining battles between the factions that occupy the galaxy. Take part in daring raids on trade convoys and audacious attacks on capital ships, claim bounties, and upgrade your weaponry. But be warned: helping one faction may make its enemies yours, too. Violence is not the only route to success. Discovering rare resources and trading them where they are most valuable will help you amass a fortune you can exchange for upgrades and ships that can carry ever more cargo. The rewards will be great, but you'll run the risk of attracting the attention of ruthless space pirates. By upgrading your engines, you can travel further and faster, pushing at the frontiers of the known galaxy. Upgrading your suit will help protect you from radiation and extreme environments that would kill the unprepared. The galaxy is a living, breathing place, with trade convoys travelling between stars, pirates, police and military ships ever ready for action, and planets teeming with life. The same galaxy is also shared by every player of No Man's Sky. Perhaps you will see the results of their actions, as well as your own? No Man's Sky - TM/© 2015 Hello Games Ltd. Developed by Hello Games Ltd. All rights reserved.